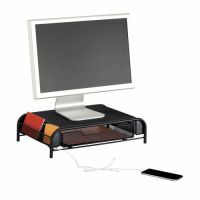 Accessories are a Desk�s best friend. 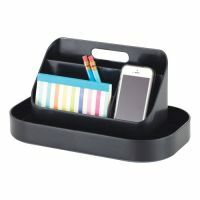 You spend hours at your desk and should feel at home and comfortable, not overwhelmed and cluttered. 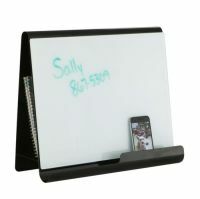 Desktop whiteboard signs, collection boxes, and suggestion boxes allow you to get interactive with clients and coworkers without needing to say a word. 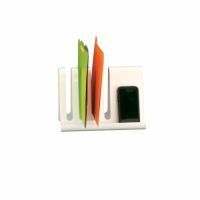 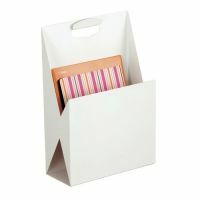 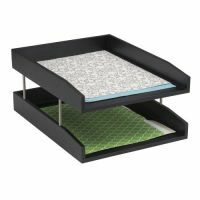 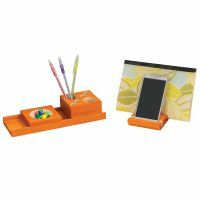 A desktop file holder box keeps files, books, and writing instruments neat and organized. 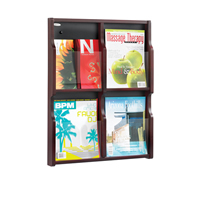 Larger Filing Cabinets can be kept beside the desk for even more convenient organization. 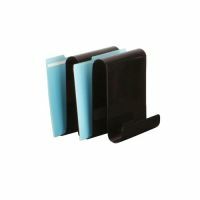 Desktop dividers and Privacy Panels for desks make it easy to get some peace and quiet during busy deadline days. 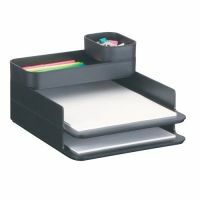 Browse the Desk Accessories and other Desk Organizers for keyboards, mice, and monitors. 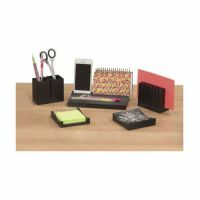 Never be afraid to accessorize and make your life easier!